Below is the performance for the ValueTrend Managed Account Equity Portfolio. The portfolio does not contain bonds or fixed income allocations. The figures are based on the portfolio holdings of Portfolio Manager Keith Richard’s account in the equity portfolio since June 30, 2009 and is gross of any fees and assumes re-investment of all distributions with no cash outflows or inflows. 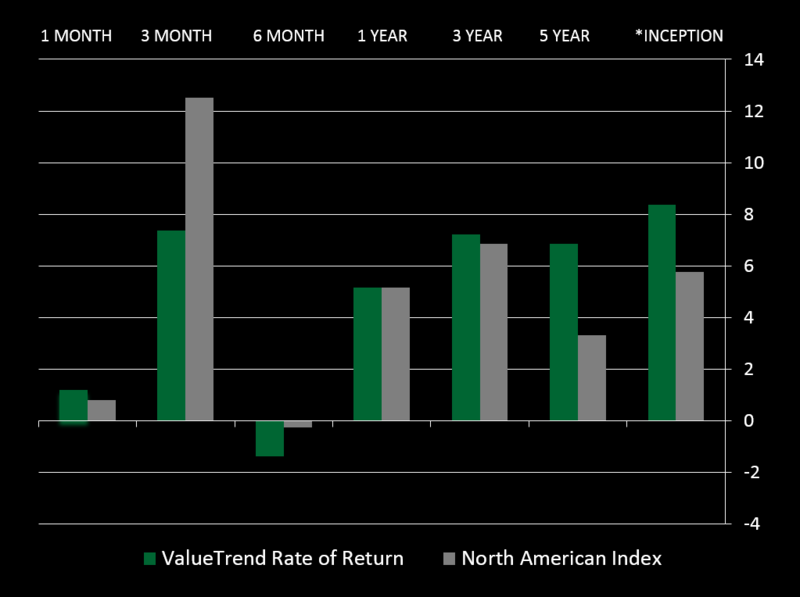 Values in percentage are annualized for periods of more than 12 months. The information contained in this report is for illustration purposes only and was obtained from sources that we believe to be reliable however, we cannot represent that is accurate or complete. The portfolio may invest in leveraged or inverse exchange traded funds and thus there may be exposure to aggressive techniques which may magnify gains and losses and can result in greater volatility and be subject to aggressive investment risk and price volatility risk. All performance data represents past performance and is not necessarily indicative of future performance. The North American Index is comprised of 85% S&P TSX300 and 15% S&P500 USD . ValueTrend Wealth Management’s liability shall only be attached to the accuracy of information contained in your official statement of account and information in your official statement of account will always take precedence over the information contained in this illustration. 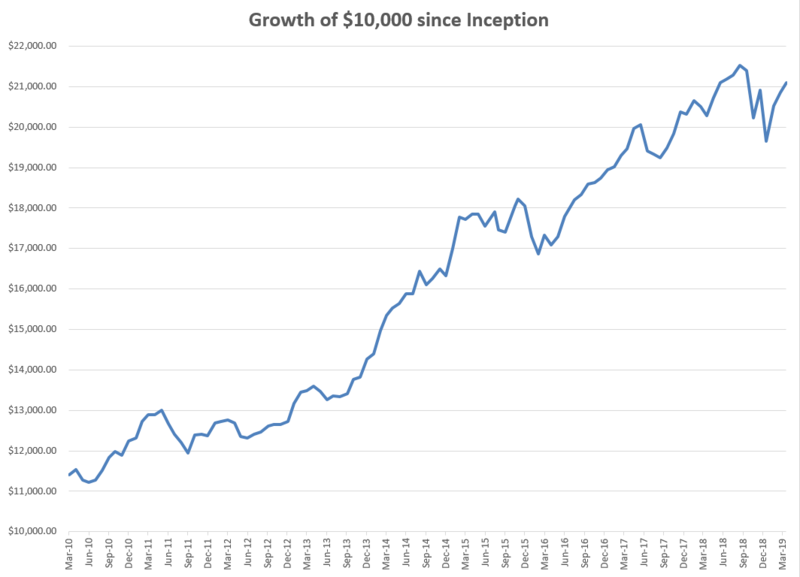 This performance chart was produced for illustration purposes only based on a hypothetical $10,000 investment amount and should not be used as the basis for making investment decisions. The ValueTrend Equity Model performance is based on portfolio holdings of Portfolio Manager Keith Richard’s equity portfolio since June 30, 2009 and the chart is based on monthly rate of return calculation gross of any fees and assumes reinvestment of all distributions with no cash outflows or inflows. From inception to January 2016, the equity platform management fee of ValueTrend was 1.50%. This fee was increased to 1.75% effective February 2016 to reflect increased trading expenses. Every effort has been made to compile this material accurately however due to the inherent possibility of human and mechanical error, the accuracy and completeness are not guaranteed. All performance data represents past performance and is not necessarily indicative of future performance.